This year, Junior League of Hampton Roads continues our work with the Women’s Initiative for Success and Empowerment (WISE). 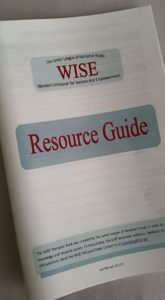 WISE is designed to empower and uplift women who are confronting economic uncertainty and adversity. We focus on success and empowerment by providing increased access to resources which improve educational, financial, and life skills. In addition, we provide positive experiences to young women through our teen out-reach program. WISE is carried out in our local communities through coordinated committees: Community Research & Issue Development (CRID), Done in a Day (DIAD), and Community Partnerships. Click here to view our Resource Guide!